As much as well all probably love the warmer seasons, the winter season sure has its perks. In Japan it seems to be the best season for skiing, snowboarding, and even ice-skating. In Florida we don’t have much of a winter so if we want to indulge in such activities (besides indoor ice-skating) we would have to plan a trip to a different state. This Winter I really wanted to go snowboarding but I didn’t really have the time to do so. 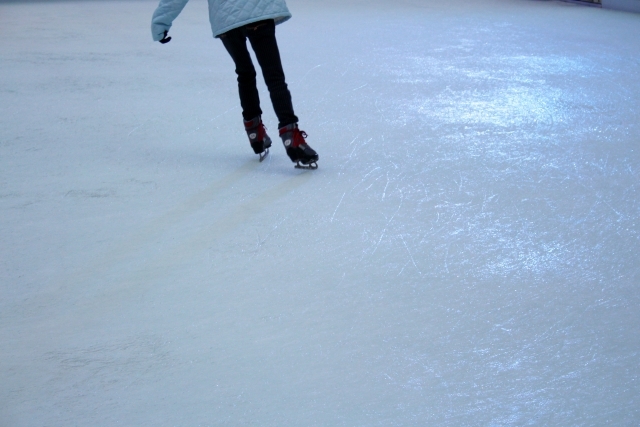 However, I was recently able to go ice-skating at the Sky Tree. They had an outdoor skating rink which was pretty awesome but it was quite crowded which made it a bit dangerous to skate too fast. But hey, what’s fun without a little bit of thrill thrown into the mix! I had so much fun when I went skating. I literally felt like a kid in a candy store. It was a great way to cap-off my first winter in Japan. Next year I will definitely make time to go snowboarding and I’ll be sure to tell all about it. What kind of winter activities were you able to do this year? If you didn’t get to do anything you planned to do, were you able to find another fun alternative? If so, when you see me, please share!